Police are conducting nearly 55,000 fewer random breath tests in the ACT compared to five years ago. File Photo. Drug and alcohol groups are sharing their concern about the air of complacency surrounding drink driving after recent data shows a decrease in the number of roadside breath testing conducted by police. 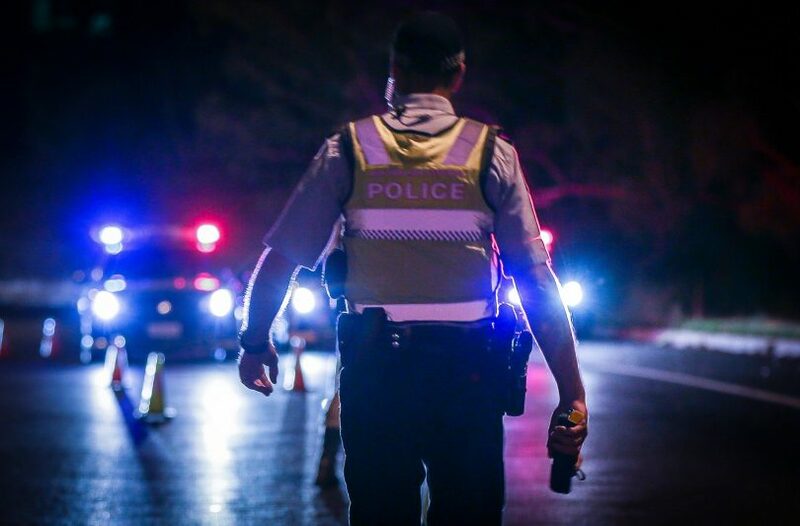 ACT Policing figures revealed that 144,256 random breath tests were conducted in 2013-14, compared to just 89,300 in 2017-18. Over the past five years, the number of random breath tests conducted quarterly ranged from a low of 14,028 tests in the January-to-March quarter of 2017 to a high of 45,604 conducted between October and December 2014. An ACT Policing spokesperson said the number of tests conducted and the proportion of drivers recording a positive reading have historically fluctuated. “The number of tests conducted varies due to a range of factors including operational priorities, time of year, event occurrence and staffing levels,” the spokesperson said. “Drivers are selected randomly however locations and timing are based on historical data, intelligence and other factors. Alcohol Tobacco and Other Drug Association ACT (ATODA) criticised the number of RBTs conducted in the nation’s capital, stating drivers needed to believe there was a “genuine likelihood” of them being tested for it to be an effective road safety intervention. In a submission to the ACT Government, ATODA called for a yearly test target and to work towards a progressive increase. “Recent research has demonstrated, however, that the intensity of testing in the ACT (an average of one test per three licensed drivers per annum) is well below that considered to be best practice, namely an average of one test per licensed driver per annum,” the submission reads. “Furthermore, there is a widespread perception that [random breath testing] in Canberra is not implemented on a truly random basis. ACT Policing’s Chief Police Officer Ray Johnson said he had seen the figures and was adamant the diminishing number of RBTs was not due to staffing and lack of resources. “We don’t have a quota and I don’t see the value of having one,” he told ABC Canberra on Wednesday morning (20 March). “An array of things influence the numbers. ATODAs claims follow allegations made by the National Alliance for Action on Alcohol (NAAA) regarding the ACT’s soft stance on alcohol abuse and its related harms. I’m confused, why is the amount of RBT being used as an indicator of success ? Why is this not quantified with the figure of people actually caught ? If the location of RBT is targeted, why are there no statistics on the effectiveness of this strategic location versus randomly selected locations ? Where is the evidence base behind the ATODA assertion that one test per licensed driver per year is an effective road safety intervention ? Sounds like a bunch of hot wind and click-bait journalism at the moment.